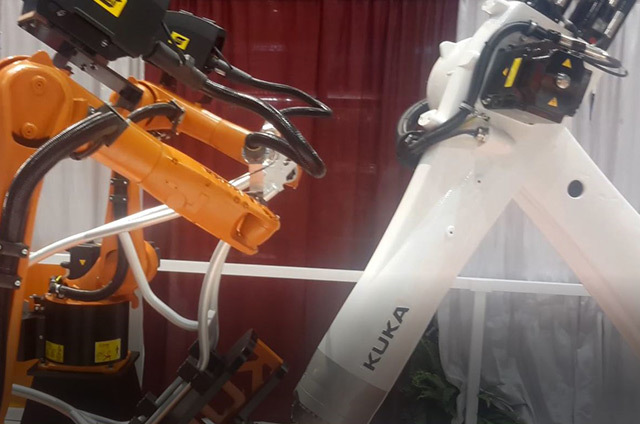 Advancements in welding technology and reduced equipment costs have made robotic welding affordable to a large range of manufacturers. 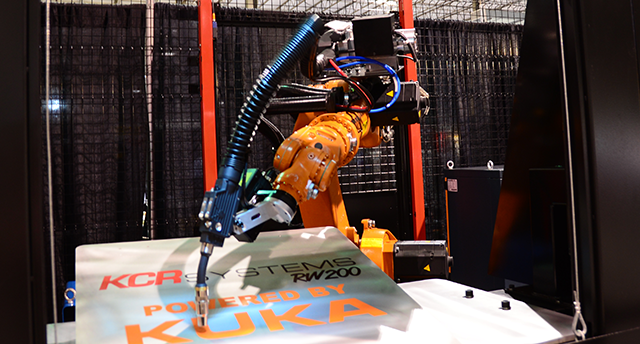 KC Robotics offers a complete welding solution, from design to install, and after-the-sale customer service. We partner with you to design and create a solution that enhances your production line and improves the working environment in your facility. 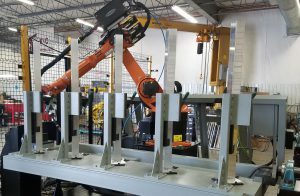 Pre-Engineered cells from KCR Systems provide an economic solution for standard welding operations. 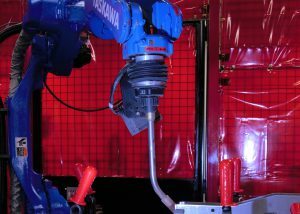 Each cell contains a selection of standard components, pre-assembled for customers looking for a robotic ready-to-use system. Each system meets RIA/ANSI standards.